The gladius sword was not the only weapon that was integral to Roman warfare. 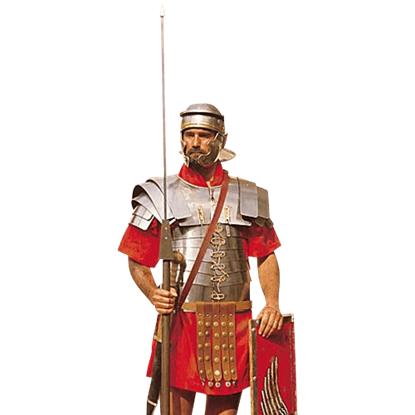 Roman soldiers also typically carried multiple copies of a historical polearm called a pilum into battle. 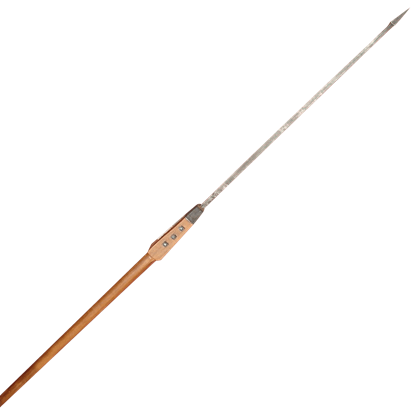 The pilum functioned similar to a javelin, possessing a wooden shaft joined to an iron shank with a roughly pyramidal head. Roman pila could come in a variety of different shapes or sizes, ranging from the weighted pilum that was designed to hit hard and penetrate deep to lighter, smaller pila that were designed for ease of carrying and mobility. 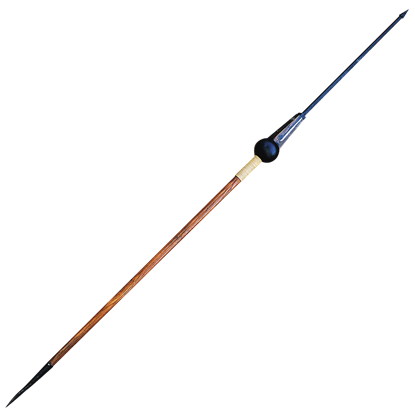 One unique feature of the classic pilum is that the shank was designed to bend upon impact, making the Roman javelin difficult to remove from the target and ensuring that the weapon was unusable by an enemy after a good throw. We offer pilum replicas in various weights and sizes, as well as a series of other Roman spears and gladiator tridents. Some of our Roman polearms are meant for training and use, while others are more decorative and designed for costume use and display. 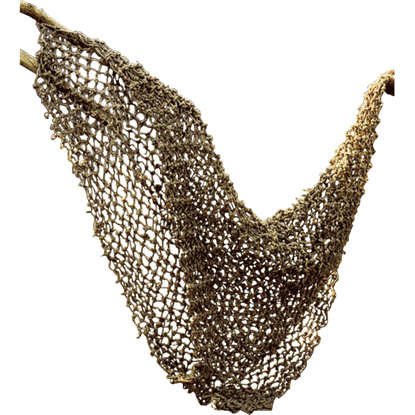 The Gladiator's Retarius is a weighted net (the word retarius actually means net-man). This weapon was wielded by the retarius gladiator, who used it, in conjunction with a trident and a dagger, to entangle and defeat his foes. 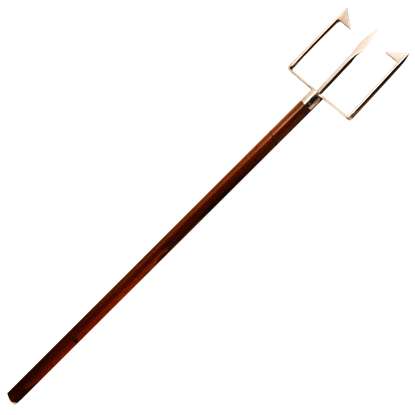 A trident is a vicious three-pronged spear that was often used by gladiators during the course of their grueling fights. 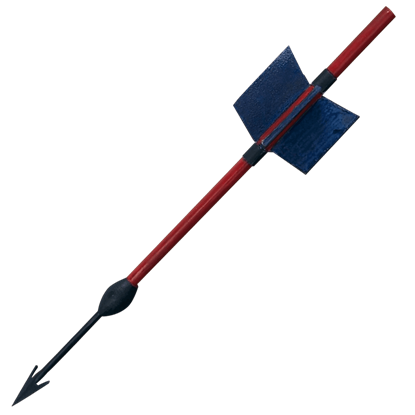 A Gladiator's Trident was wielded by a retarius gladiator, a lightly armored warrior modeled after a fisherman. In some cases, archers for the Roman Legion were not necessary, especially if every trooper carried a supply of Plumbata Darts. Similar to small arrows and thrown by hand, these projectiles were considered to be especially deadly. 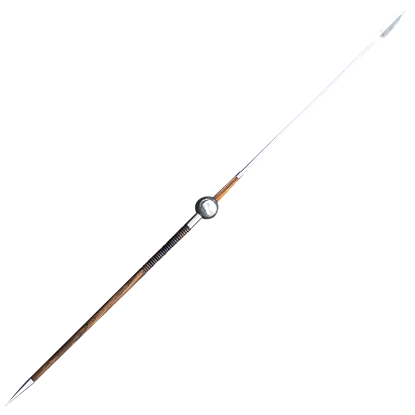 It might not have been their preferred armament of choice, but the Romans did utilize spears from time to time when the situation called for it. 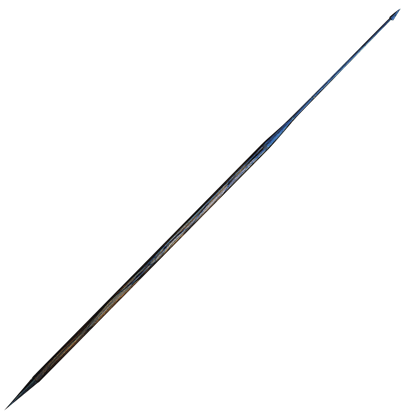 This Roman Spear is constructed like a pilum, although its weight and balance are different. The two weapons a Roman soldier would have been armed with were, more often than not, the gladius and the pilum. The type of pilum, or javelin, could vary from soldier to soldier, though, and some favored a typical Square Pilum. The two typical weapons a Roman soldier would have been armed with were, more often than not, the gladius and the pilum. The type of pilum could vary from soldier to soldier, though, and some favored a lighter, Thin Pilum. The two typical weapons a Roman soldier would have been armed with were, more often than not, the gladius and the pilum. The type of pilum, or javelin, could vary from soldier to soldier, though, and some favored a Weighted Pilum. The principal weapon of the Roman legionnaire, the pilum was well designed to render an opponents shield defense useless. Our Square Pilum is based on a later version that was slightly weighted to aid in penetration.